Surely for that to be relevant comparison you need to think about wheel diameter & tire depth too? Last edited by Tinc; 5th February 2019 at 10:47 PM. That's ours on 50mm lowered springs and the front adjusted with the patent Si Spanner deep 27mm socket. IT suits our rural roads in the Shire. Have some adjustable "coil overs" from my good friend Andreas which I will play with in the summer. Since our little spring issue I have been looking into all things bounce as I've never been happy with Gracie's ride. So that's an accumulated -70mm with a full camper/rock 'n' roll/pop top. That's my explanation for the apparent arch gap difference between Si's -50mm srpings & our -40mm springs. It also highlights the fact that IMHO comparing piccies of vans is fun, but not too helpful unless you compare all of the other variables too. What the photos are really good for is showing the look achievable, so you can set your desired target & then sort out the ride. I like the height Gracie sits at (although level will be an improvement), but she doesn't like bumps AT ALL! She's also pretty bouncy over ripples, so we have shock issues too. So I'm now trying to arrive at a known point before working back to what I want, but with a sensible ride. I intend to fit Bilstein B6's & probably -40mm Vogtland springs. I also intend to add a poly top seat & fabricate a 10mm thick lower seat. The overall effect of that should be to raise the rear by 10mm from it's current position. So, after all that waffle I look forward to watching you go through the same process with your van. I also invite plenty more education ladies & gents - this is all fascinating stuff. One question I have right now - what's the advantage of the little shocks over the longer ones? 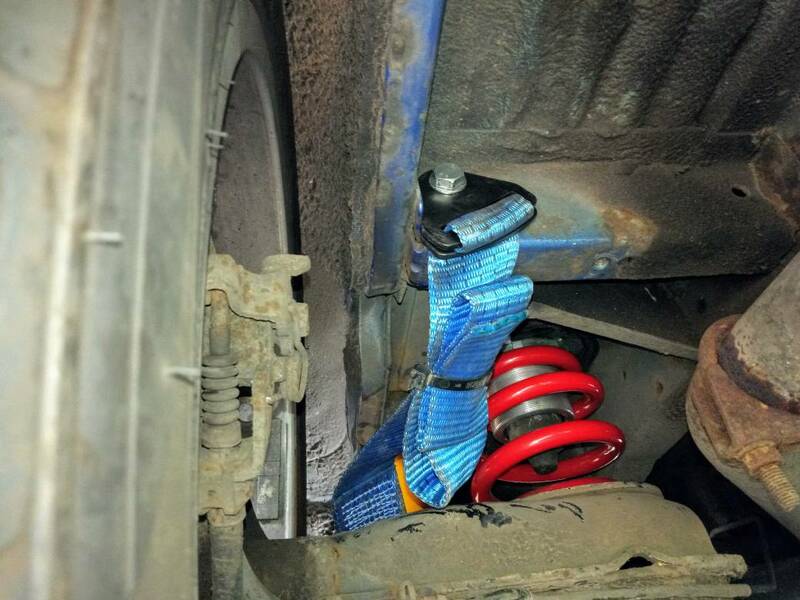 Unsure if this is related Tinc... but a mate is just in the process of swapping his Bilstein B6 shocks for Sachs HD because his rear springs keep unseating , which we think was down to the shocks length. It's resulted in a number of broken springs. Think he was at -50mm but not 100% sure of spring manufacturer. That is interesting.... the Sachs are very much the other option once I sort my starting point. I want opinions on everything! I assume you mean 40 profile - not 40mm tyres. Ride will be harsh on 40 profile tyres - which is why the ride is harsh on most vans with 18s - because of the tyre profile that people tend to run with 18s. Top and bottom ball joints ok? Fit Sachs HD shocks all round - unless you plan to go low. Last edited by Activ8; 6th February 2019 at 06:56 PM.